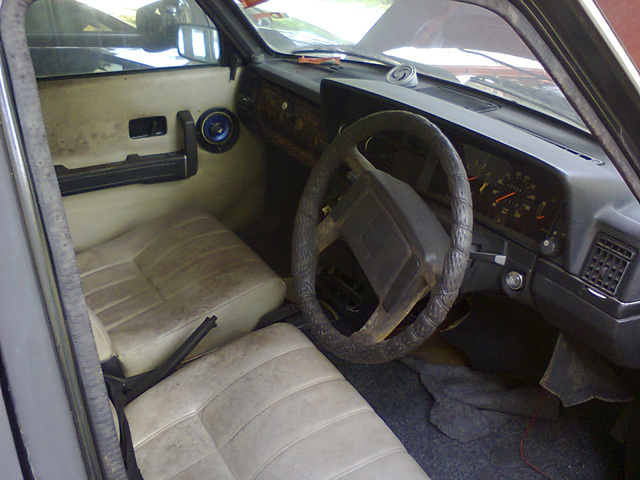 In retrospect, my 240 TIC project did not really roll as it should. There were some repairs and maintenance done but they were not exactly “Stage 0” stuff. You should never pick your only daily driver, your work horse, as the project car unless you are willing to go without a car for the duration. You should not have started a project blog either. That was it. Then, in the middle of October last year I got a call from an old schoolmate. He has an old 245 DL that he would sell if I was interested. Man, was I interested? I have always wanted a wagon! The owner has not been using the 245 for quite a while due to his failing eyesight and in the process one of the fuel pumps has stopped working. 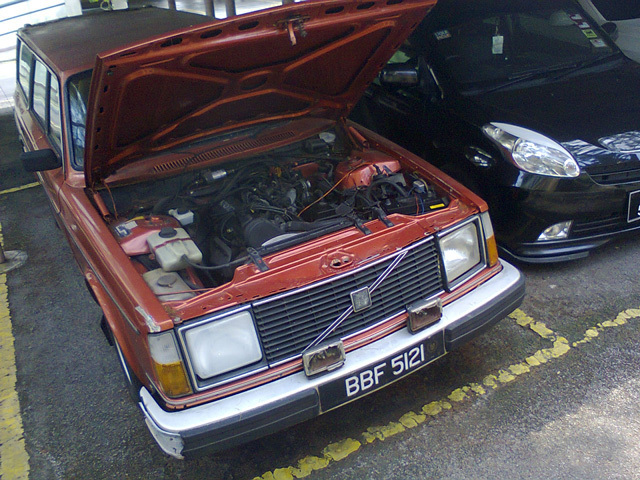 So I went over to his place in Kuala Lumpur to look at the wagon. It was love at first sight: the car was not in running condition; there were dents and the orange paintwork has began to peel (sorry!) 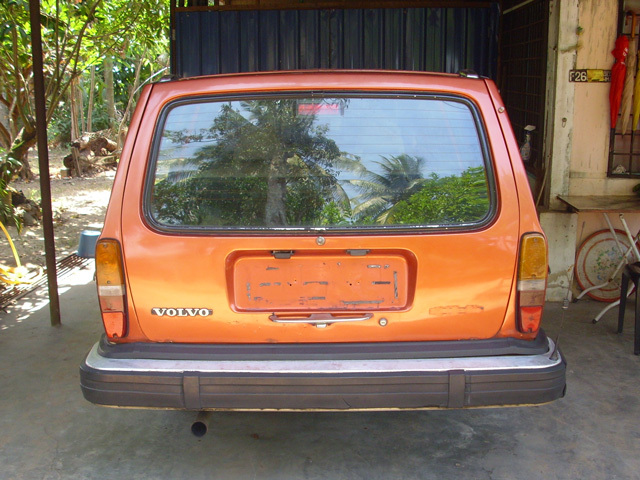 exposing the rust underneath; the bonnet (hood) was not aligned and the tailgate sagged a little; the right side mirror has no mirror in its housing; one of the square sealed-beam headlights has turned white and one of the front indicator light clusters was missing; the rubber bumper covers were torn; and the white (or was it cream?) vinyl interior looked rather mouldy. 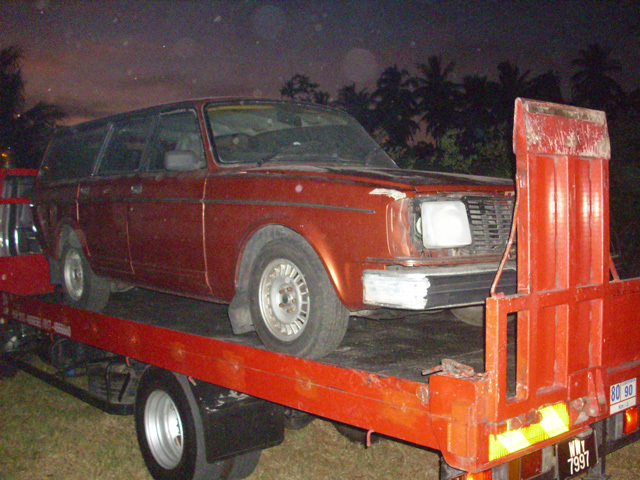 On the plus side, however: it was a freaking wagon; he has done a conversion to replace the original B19A motor and the M46 manual transmission with a B230FX lump and an AW70 automatic transmission; the swapped out late model 240 dash has no cracks on it; and of course it was a freaking wagon! 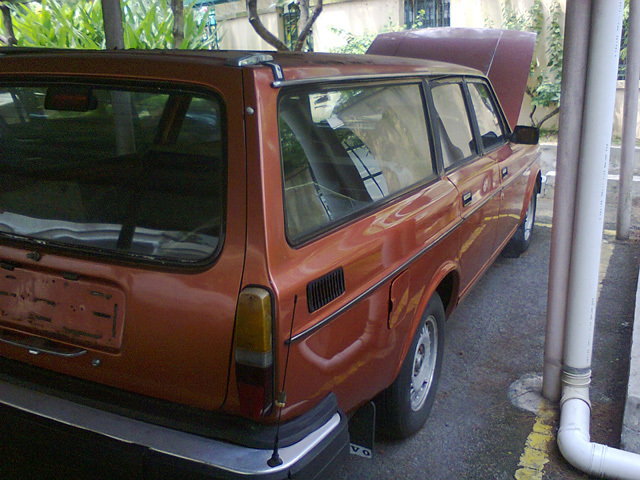 It did not take much haggling to seal the deal and for RM3,000 the wagon became mine. 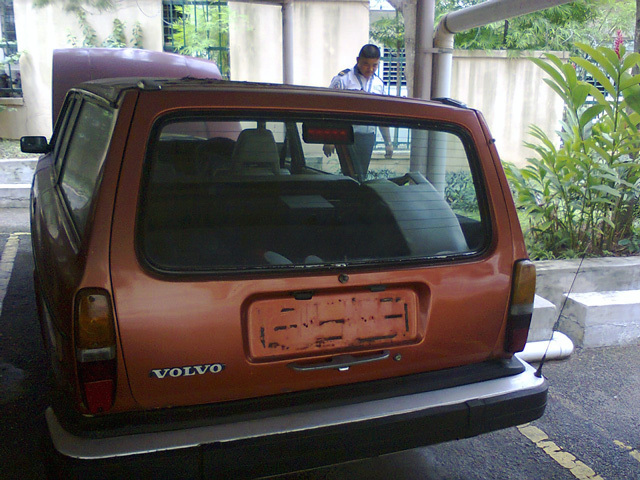 I had to pay another RM780 to get the car insured and renew its rod-tax. I have found my new project car. The original plan was to drive the car back to my place under its own power. 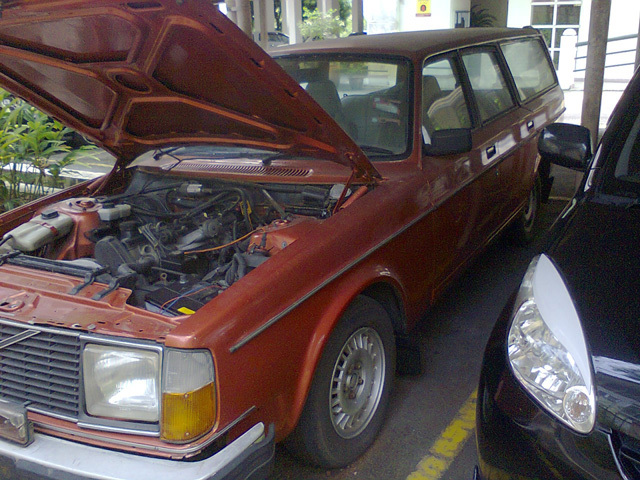 I had a young friend, who was also a Volvo nut and quite handy with mechanical stuff, to come over and look at the wagon. As the car was recently moved to a covered parking lot outside a multistory apartment building, not much work could be done to it due to space constraints and lack of tools. So it was towed to the nearest workshop where it could be fixed with the right tools and equipment. Or so I thought. For more than three months, they tried to coax some life into the old rusty wagon. 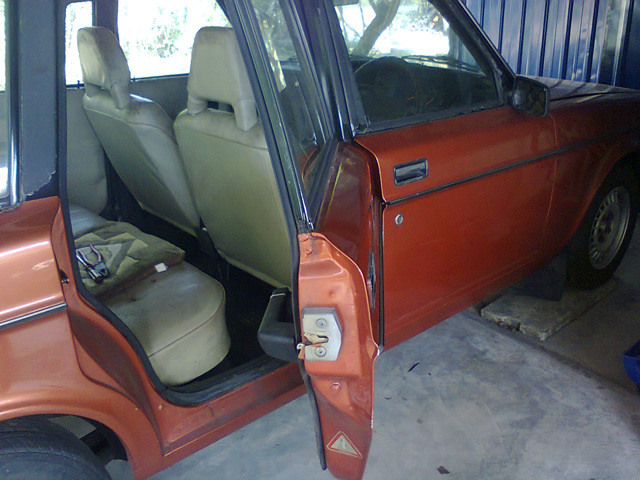 On my last visit there, the engine could be started but would not idle properly and it would just die off in drive. The situation did not improve, so I thought it was time for the orange wagon to come home. So I hired a flat-back truck and on February 10th, the wagon arrived on my front gate. We pushed it under my porch and I gave it a good wash that very night. On the following day I gave it another once over and behold; more surprises! 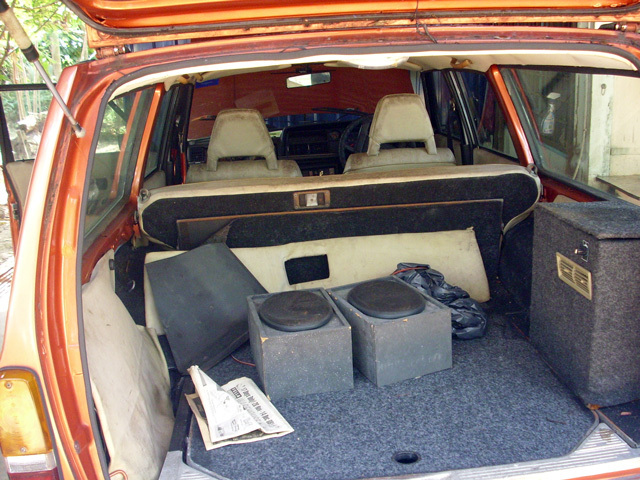 The tailgate lock does not work; the rear passenger door on the right does not work as well, nor does its power window. Except for the hazard/indicator lights, all the other lighting are dead. 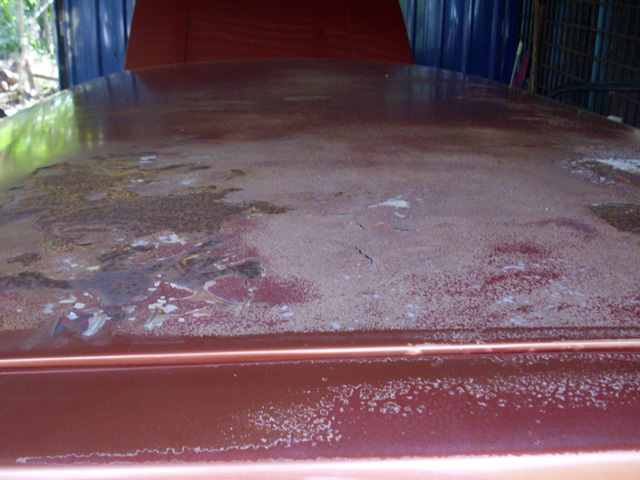 Rust has taken over much of the wagon after being left to the elements by the roadside for about a year; worst affected are the floorboards and the cross member under the radiator. 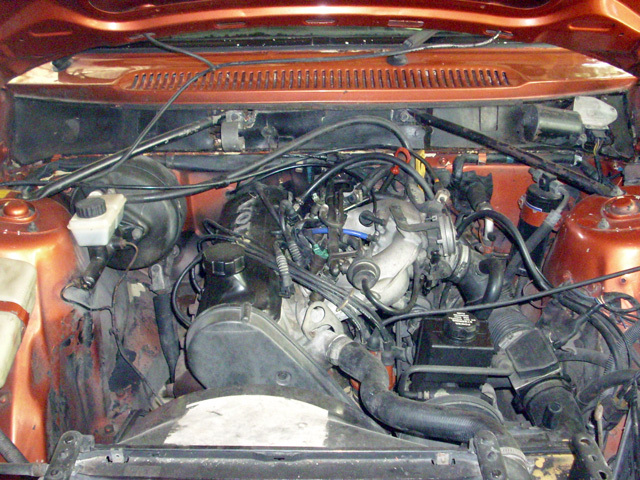 In the next few days I reconnected all the ancillary engine parts – hoses, fuel lines, fuel rail, injector connectors, etc. – that were left disconnected by the previous workshop. All the cracked vacuum rubber hoses were replaced with silicon ones and I even repaired the diagnostic unit connector as the end wires were already falling out. There were old oil in the hose between the AMM and the throttle body so I took that out and cleaned it. 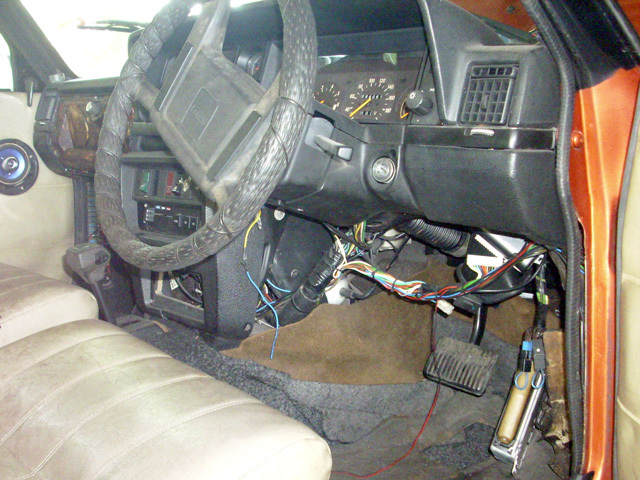 The throttle switch was not clicking so I had that re-aligned as well. With the battery hooked up I tried to start the engine but it barely turned over. So I had the battery re-charged and all the ground terminals cleaned before trying again and still it was like the battery had ran out of juice. The battery was tested and found to be OK at 75% charged. It was not this way when I first had the keys from the previous owner. 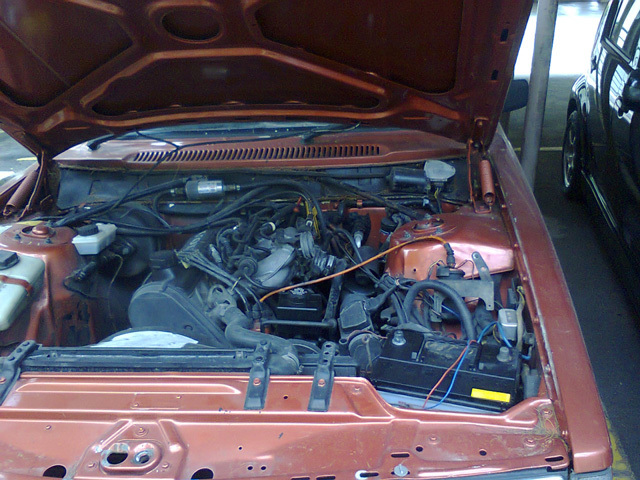 Next will be the starter motor itself which I will take out asap. 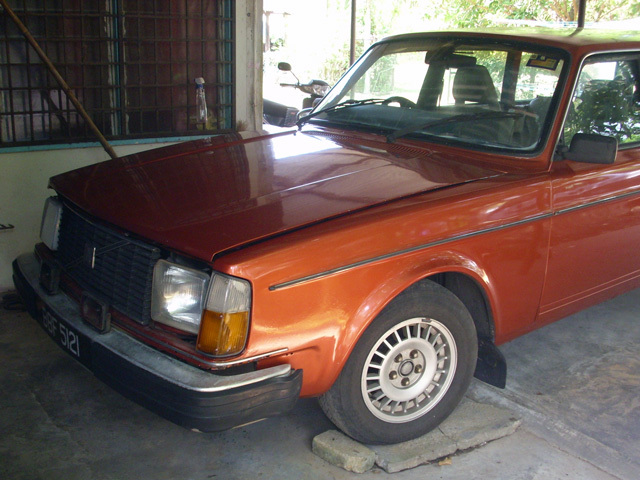 So far here are the details I found out about the wagon – the body style is 1979 with single square headlights and I plan to retrofit single rounds from the 1975-1978 era; the engine is a 1992 B230FX with a 531 head managed by Jetronic LH 2.4 and EZ 116K. I also found out that it does not have an O2 sensor! Whoever did the swap must have re-used the exhaust manifold from the original carbureted engine and I wonder how the previous owner ran the engine without one. I have to modify the plan a bit now that I have a new project car. I cannot have both the B230FT and manual transmission in the wagon as it would mean both cars will be down. The plan now is to swap the heads first so the B230FT will have the 531 and the B230FX will have the old 530 head. Then swap the turbo motor into the wagon using the existing auto transmission; I may have to upgrade the fuel pumps though. After that is done, I will swap the FX engine into the sedan and convert the fuel system from carburetor to fuel injection as a second project. Nice to see you have a wagon now. I like the 242GT rims. The ones for my GT are a little rough so I went with Virgos but I should really fix them up for the sake of originality. I really like your blog. We both should post more often! Thanks, Jim. I love the Virgos but they’re getting harder to find over here now. Got myself a set of lightweight 15″ Sirius wheels from the junkyard which will go on the wagon after a little dressing up. Yes, we should post more often.